Below is the text of the statement made by James Brokenshire, the Secretary of State for Housing, Communities and Local Government, in the House of Commons on 25 March 2019. At autumn Budget 2016, the Government asked the Thames Estuary 2050 Growth Commission to develop an ambitious vision and delivery plan for North Kent, South Essex and East London up to 2050. In June 2018, the commission, led originally by Lord Heseltine and concluded by Sir John Armitt, announced their vision for the estuary. I sincerely ​thank Sir John and all the members of the commission for their expertise and scrutiny across the duration of the commission. Thames estuary will be a tapestry of productive places along a global river. The estuary will create 1.3 million new jobs and generate £190 billion additional gross value added. I welcome the vision for growth that the commission has set out. I am pleased to announce further commitments from this Government to support the delivery of the commission’s vision, including: £1 million to support a new Thames estuary growth board; appointing a Cabinet-level ministerial champion; £4.85 million to support local partners to develop low-cost proposals for enhancing transport services between Abbey Wood and Ebbsfleet, subject to suitable housing ambition; exploring the potential for at least two new locally-led development corporations; launching a strategic communications campaign to promote the Thames estuary as a great place to live, work and do business; funding for the creation of masterplans and feasibility studies on key sites in the Thames estuary creative production corridor; and bringing together relevant authorities to collaborate on the Thames estuary 2100 plan, to make sure that growth in the estuary is sustainable and resilient. My full response is available: www.gov.uk. I am today announcing the allocation of a further £46 million rough sleeping initiative funding to support those sleeping rough and those at risk of sleeping rough in 246 local authorities. This funding provides continuity from the £30 million fund for 2018-19, which was aimed at an initial 83 local authorities with the highest levels of rough sleeping in 2017. I want to go further, and so launched a bidding round in December 2018 for those areas not in the initial 83 and I am pleased to announce that I will be providing an additional £12 million to a further 163 local authorities in 2019-20. This will continue to build on the work we have done so far to make sure we continue to support more people off the streets and into safe and secure accommodation. This funding will provide for over 750 new staff focused on rough sleeping. This will include more outreach workers to engage with people on the streets, specialist mental health and substance misuse workers and dedicated co-ordinators to drive efforts to reduce rough sleeping in their areas. It will also provide for over 2,650 new bed spaces including both emergency, temporary and settled accommodation. The breadth of this funding will provide coverage of 75% of local authorities across England. I have deposited a full list of the individual amounts allocated to the 246 local authorities in the House Library. I am confident this package of support will achieve substantial results across England. It will also build upon the work we have already undertaken. This work includes publishing our cross-Government rough sleeping strategy which sets out an ambitious £100 million package to help people who sleep rough now and puts in place the structures that will end rough sleeping once and for all, piloting the housing first approach, which has an internationally proven evidence base for effectiveness, in Greater Manchester, Liverpool city region and the west midlands, allocating over £1.2 billion in order to prevent homelessness and rough sleeping, including more upfront funding so local authorities can proactively tackle homelessness pressures in their areas, and, additionally, the introduction of the Homelessness Reduction Act which means that more people now get the help they need and at an earlier stage so preventing homelessness from occurring in the first place. Below is the text of the speech made by James Brokenshire, the Secretary of State for Housing, Communities and Local Government, at the LGA Finance Conference on 9 January 2019. Thank you so much for the kind introduction John [Councillor John Fuller, Vice-Chair, Resources Board, Local Government Association]. It’s a genuine pleasure to be with you on my birthday – there’s nowhere I’d rather be. And you will recall that a year ago I had to step down from my role to fight lung cancer, so it’s great to be here with you, and in good health. As you highlighted, in many ways I feel as if I grew up with local government and certainly one of the favourite parts of my job is the chance to find out more about the work of your great councillors – our great councillors. You live and breathe the issues affecting your areas. You make the places you live in better and improve lives as a consequence of that. That’s why I certainly couldn’t be prouder to be working alongside you. But I’m under no illusion about the changes in local government. Challenging finances, shifting demographics and changing lifestyles can sometimes make it all feel like, just when you think you’ve got the answers, the questions then change again. And through all this, I’ve been impressed with how you continue to deliver quality public services and satisfaction remains high. I know that that is no small task. But I have been determined you get the support you deserve, and the resources you need to grow your economies and ensure opportunity for all – where no one is left behind. It’s why, at last month’s provisional local government finance settlement, we provided a cash-increase of 2.8%: from £45.1 billion this year, to £46.4 billion next year. It’s a real-terms increase in resources and I’m pleased the settlement has been broadly welcomed. And in that context I’m very grateful to my colleague, Rishi Sunak, the Minister for Local Government, for his tireless efforts on this work which will continue into the coming weeks, and we look forward setting out the final settlement in early February. And today is another important part of that conversation. A conversation that addresses the immediate pressures we face, yes. But equally, it’s a conversation about a longer-term vision for a resilient, self-sufficient and innovative local government. A discussion that transcends numbers and duties, and reaches directly into the heart of communities. Or in other words: we need to explain ‘why place matters’. But there’s no hiding from the pressures that you face. Our additional funding will support some of our most vulnerable groups, with £650 million for social care in 2019-20. We’ve allocated £240 million of that to ease winter pressures – and that’s in addition to the £240 million we announced in October to alleviate winter pressures this year. The remaining £410 million can be used flexibly – either on adult or children’s social care and, where necessary, to relieve the demands on our NHS. As you know too well, adult social care is a complex issue. It’s something we need to get right. But I don’t think it should simply be seen as some sort of problem; it’s also very firmly an opportunity. An opportunity to reaffirm our commitment as a society to those who need our support. It’s why the NHS long-term plan which was announced yesterday I think will be a real game changer – giving us more flexibility to treat more patients at home or in their communities. Because better integration of the health and care systems remains the key, and the upcoming green paper on the future of adult social care will chart how we can do this. The Better Care Fund is already showing us how this might be done, for instance by improving patient inflow and freeing up nearly 2000 hospital beds. It’s a testament to the excellent work councils have been doing with their NHS partners. In addition, at the latest Budget the Chancellor pledged an extra £84 million over the next 5 years to expand our Children’s Social Care programmes. This will support more councils with high or rising numbers of children in care. It builds on the excellent work my department has already been doing to improve all services for families with complex problems, through our Troubled Families programme. But as we meet today and as we look to those pressures, we must also rise to tomorrow’s challenges. Brexit will generate a number of opportunities for local government. I’m grateful for how you’ve worked to prepare, to ensure we can be confident about our departure from the European Union. But I know that many of you, like me, have heard the same message on the doorstep – get on with the job and deliver Brexit. And looking ahead to next week’s vote – I’m clear that the deal we have on offer is a fair one. It meets the objectives the Prime Minister set out at the start of negotiations, and involves significant concessions from the EU. It delivers on the referendum result. It takes back control of our borders, our money and our laws. It protects jobs, security and the union. And the alternatives simply take us back to square one. More division and more uncertainty. We all have a duty to ensure every community can benefit from a modern, outward-looking Britain after Brexit. And no one is better placed to deliver that than you, and local authorities will be, I think, at the heart of our success. I am committed to ensuring local government and local leaders are adequately prepared to respond to any Brexit scenario. I have set up a delivery board to support the implementation of changes linked to Brexit within local government – and the work of this group will expand in the coming weeks and months. And I will shortly be announcing the allocation of £35 million to fund local authorities to support with their work on Brexit preparations. But I’m mindful that our long-term thinking does require long-term funding – and I know you have called for greater certainty as we reach the end of the current multi-year deal. Next year we will finalise the new formula. A formula that makes the link between funding and local circumstances much clearer. And I’m encouraged by the strong consensus on the principles of our review of relative needs and resources. Because it doesn’t matter if you’re north or south, rural or urban, large or small – it simply has to work for everyone. Our business rates retention reform consultation will build on my department’s existing work with the sector to improve the way local government finance works. Because business rates retention will be at the heart of this change – the engine of a self-sufficient growth-led local government of the future. Under today’s system, local authorities estimate they will retain around £2.4 billion in business rates growth in 2018-19 – a significant revenue stream on top of the core settlement funding. And I recognise business rates appeals are an issue – and our consultation will address this too. Ultimately, we want to give local authorities – give you – more control over the money you raise. Our plans to increase business rates retention from 75% from 2020 does that and more. As well as continuing our existing pilots, at the draft settlement, I announced plans for a further 15 new pilots for 2019-20 and will also be piloting the 75% retentions rates in London. Every authority stands to reap the rewards of increased growth in business rates income. And as we look ahead to the really important Spending Review, we have a unique chance to rethink and recast what local government in the 21st century can do. The days of people passively accepting what’s offered, I think, are long gone. In our digital age, the ability to feed-back, interact with and shape services is the new norm and government – central and local – needs to reflect that. It’s something my colleague Rishi Sunak has been looking at with his digital declaration: exploring how to apply new technology and new thinking to old problems, and transforming the ways we think about essential services. But the future of local government isn’t just in the cloud – it’s also on our high streets and in our communities. It’s why we provided a £1.5 billion support package for our high streets, with a further £420 million to repair and improve our roads and highways. And the lifting of the HRA (Housing Revenue Account) cap will put local government back on the front line of house building – local authorities can now borrow more to build more. And at the provisional settlement, I committed a further £20 million to maintain the New Homes Bonus baseline in 2019-20, to ensure we continue to reward councils for delivering the homes our country needs. Since it began in 2011, we’ve allocated £7.9 billion to reward 1.6 million additional homes. Because the success of our communities very much depends on all parts of our community having a decent, affordable, secure home – the challenge of a generation. So, in conclusion, I’m pleased to be celebrating my 51st birthday with you. It’s a turning point for me personally after a challenging year – and equally I know the different challenges that you have faced too. But I am full of admiration for how you have responded – showing what world-class local government looks like. And while the year ahead could inevitably provide some new challenges, perhaps new surprises, there’s no question that we’re all better placed to face it – and thrive. And I look forward to working with you: to meet the challenges and to use the opportunities that lie ahead. To build the homes our country needs. To encourage growth, helping ensure every part of our country can prosper. It’s the reason why we’re all here and why I’m genuinely so proud and privileged to work alongside you. Below is the text of the statement made by James Brokenshire, the Secretary of State for Housing, Communities and Local Government, in the House of Commons on 18 December 2018. In August, we published a cross-Government Rough Sleeping Strategy, setting out how we will halve rough sleeping by 2022 and end it altogether by 2027. The strategy has three core pillars of prevention, intervention, and recovery, with a preventive approach towards rough sleeping at its heart. Somewhere Safe to Stay hubs, allowing for a quick and effective assessment of needs, are central to these local authorities’ “Rapid Rehousing Pathways”. In the 11 early adopter areas, we will be providing funding for a range of policies alongside the hubs—including specialist “Navigators”, supported lettings, and local lettings agencies—to ensure that there is a full and functioning pathway in place to help people into sustained accommodation and appropriate wrap-around support. These hubs will not only take people off the streets into a safe environment but, crucially, will also take in individuals who have been identified as being at risk of sleeping rough, stopping them having to sleep on the streets in the first place. In this way, the “Somewhere Safe to Stay” model builds upon the success of the “No Second Night Out” model of rapid assessment hubs. This approach fits with the Government’s objective to intervene sooner, and move towards a preventive approach towards rough sleeping. The full programme of funding will enable local areas to connect people with the right support, and sustainable housing. It encompasses funding for specialist Navigators, who act as a single point of contact to support people from the streets into settled accommodation; the establishment of local lettings agencies to source, identify, or provide homes and advice for rough sleepers ​or those at risk; and funding for a supported lettings programme, which will provide flexible support to help individuals sustain their tenancies. The announcement of the “Somewhere Safe to Stay” early adopters represents key progress against the delivery of the rough sleeping strategy, as set out in the “Rough Sleeping Strategy Delivery Plan” on 10 December. These pilots will be the first step in testing innovative structural change to local systems and the move towards a rapid rehousing approach, bringing us a step closer to the 2027 vision of putting an end to rough sleeping. The Government will invite a wider bidding round in 2019, for other local authorities to improve and implement their “Rapid Rehousing Pathway”, and will announce the details of this in due course. 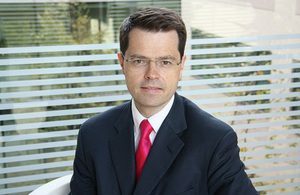 Below is the text of the speech made by James Brokenshire, the Secretary of State for Housing, Communities and Local Government, on 7 November 2018. Thanks, Tony I’m delighted to be here – as, I understand, the first Secretary of State to attend this conference for some time. All I can say is that my predecessors didn’t know what they were missing! You and your organisations represent some of the most exciting work going on in our communities and I’m so pleased to be here to thank you for everything you’re doing and to be inspired by your example. Because as this year’s theme – “the power of community” acknowledges – you know, better than anyone, why strong communities – well-integrated, socially and economically robust communities – matter so much. In good times and bad, they are glue that binds us. We saw this most powerfully, recently, in the aftermath of the tragedy at Grenfell Tower and the terror attacks in Manchester and London. And who can forget the glorious celebrations around the London 2012 Olympics and the Queen’s Jubilees? In this week alone, we’re marking the centenary of the Armistice and, from today, Diwali, with its hopeful message about the “victory of light over darkness”. Underlining the rich diversity and the immense contributions from all communities that makes our country what it is. But it’s not just the big milestones that count. It’s the infinite daily interactions, the endless web of interdependencies, the collective memory of shared history and values that ultimately make a place more than a group of people living side by side and make it a community. That, and a real sense of pride and belonging. Despite the daily pressures we all face, that pride continues to shine through. We see, for example, that 82% of those who responded to the Community Life Survey agreed that people from different backgrounds get on well in their area. And 59% said that people in their neighbourhood pull together to improve it. The benefits for communities that boast this pride and solidarity are clear. The higher the levels of integration, the higher our sense of wellbeing and the less likely we are to suffer from anxiety and health problems. If our children grow up in neighbourhoods where they have access to inclusive spaces like parks and activities such as arts and sport they’re less likely to turn to crime. The wider our social network, the greater our prosperity as we share information more readily about job prospects. But, in truth, that’s not how it often feels on the ground. We live in a world that can feel increasingly divided and polarised, leaving us feeling that the world around us is changing, but that we have little control over our lives. Making it harder to hold onto to what unites us rather than divides us. As I said earlier, we’re all the stronger for our diversity as a country and all parts of our community should be able to take advantage of everything that modern Britain offers – to realise their potential and play a full and active part in our society. And this, in many ways, is the defining challenge of the age for all modern, mature democracies: how to harness change and the opportunities that flow from it for the benefit of all and ensure that no-one is left behind. There are no easy answers to this conundrum and many communities are, unsurprisingly, feeling the strain. Hate crime is at worrying levels, here and – as we saw all too tragically in Pittsburgh – abroad. As are issues around loneliness and social isolation, affecting young and old alike. Our high streets, too, are under severe pressure. And there’s a pressing need for more decent, affordable homes, but also worries about the impact of new development. So there are some huge challenges facing our communities – challenges that I know many of you are meeting head-on; drawing on your invaluable local knowledge, networks and the latest technology and, in the process, empowering local people as never before. And I want to pay tribute to your incredible efforts and the very real impact they’re having. Here, in Bristol, for example, we can see how Knowle West Media Centre is harnessing digital technologies and the arts for the benefit of the community by supporting people to draw on them when developing their own enterprises and tackle the community issues that they care about. There’s also the very commendable work of community-led groups like the Community Security Trust, Tell MAMA and Galop who are standing up to hatred and bigotry, wherever it exists, and supporting victims. I’m proud to stand with them. Faith communities – such as the Al-Khoei Islamic Centre in London, which threw open its doors during the Jewish festival of Sukkot and built a Sukkah – are also making a real difference. As is local government, which has a vital role to play in strengthening communities – in its own right and also while working in partnership with community groups and the voluntary sector. I saw for myself what this means when I recently visited Cornwall – where a lot of my family came from – which has fully embraced the devolution agenda and is working with parish and town councils and a range of community groups to devolve assets, services and influence. One such example was a much-loved running track in Par, which, coincidentally, I’d used in my youth, that had been taken over by a community group when it faced closure. It was wonderful to see it in such good hands and the group’s high ambitions for its future, which included a skate park, café and a new children’s area. And we can see that other authorities like Durham and Wiltshire are also stepping up to deliver this kind of “onward” devolution in service delivery – which puts local communities in the driving seat to decide their own priorities and find local solutions that suit local circumstances. And which helps them take control and ownership of the spaces and assets that will help their neighbourhoods flourish – something that my department is championing in partnership with Locality through a Community Enabler Fund. One of a number of projects on which I’m pleased to see that we’re collaborating. This shift in power from the state to the citizen is true localism, a much-needed renewal of our democracy, in action. And I want to see much more of it. Cornwall, Wiltshire and Durham all became unitaries nearly a decade ago and they have shown that local reorganisation should not lead to services being sucked up to a more distant central authority on high. They have been able to drive services and decisions down to communities on the ground. The benefits speak for themselves – tailored, more effective services, stronger local economies and more engaged, more confident communities. Communities in which the conversation is happening, not official to official, but between local leaders and the people they serve. It’s essential that we do much more to celebrate and learn from their example and from the communities who are leading the way – and that’s exactly what we’ll be doing through the fantastic Communities Roadshow being launched today. Because it’s clear that we all need to play our part. Councils, faith leaders, community groups, businesses, the voluntary sector. And, yes, government – in doing what we can to support you and to create the conditions where local communities are truly free to determine their own destinies and removing the barriers that stand in your way. To that end, I’m working with colleagues across government on projects such as the Integrated Communities, Civil Society and Loneliness Strategies as well as the Hate Crime Action Plan. I have also launched the Building Better, Building Beautiful Commission to reinforce the central role of communities in shaping our built environment. Because decisions about the way we use space, about the quality of design and style of our buildings are inextricably linked to our sense of identity and sense of pride in the places we call home. This is what creates strong neighbourhoods and all our spaces and places should embody this aspiration for, yes, beauty, and buildings that are in keeping with their surroundings and that are built to last. In addition, I recently agreed an ambitious Mission Statement for the Ministry of Housing, Communities and Local Government that demonstrates why communities are at the heart of everything we do as a department – be it our quest to build more homes, support quality public services or drive local growth. This Statement is centred on 4 themes. Firstly, we’re giving communities more control over the decisions that matter to them. Nowhere is this more evident than on housing. We’re giving local people a bigger say over the future of their communities through for example, neighbourhood plans. Residents all over the country – including here in Bristol – are seizing the powerful opportunity they offer to decide where new homes, green spaces and other facilities should go and how they should look and feel. And I’m delighted that we’re backing them with more money – an extra £8.5 million, announced at Budget, which takes our current investment in neighbourhood planning to £34.5 million. Then there’s the £163 million of funding we’re making available for community housing – housing for the community delivered by the community to meet local need. Giving communities more control also means giving them a role in policy development through initiatives such as the Community Partnership Board that I’ll be attending for the first time later this month. Secondly, we’re giving communities a sense of safety and pride by ensuring that they’re economically and socially resilient in changing times. Businesses have a major role to play in this endeavour. And so I’m pleased to announce that my department will be working more closely with Business in the Community to provide practical support to businesses on volunteering opportunities for their employees and to promote better integration between people from different backgrounds. Business in the Community has an impressive track record in this area and I look forward to seeing what more we can achieve together. We’re also working closely with businesses to revive our high streets which, in so many ways, represent the heart of our communities. We know how much people value them – and how worried they are to see them struggling as technology changes the way we shop and do business. Which is why the £1.5 billion package of support unveiled in the Budget for high streets is so welcome. This spans not just vital short-term relief for small retailers – that will bring their business rates down by a third. But also a long-term vision for our high streets that goes with the grain of our changing lives and flexes with technology to pave the way for the “smart cities” and “tech towns” of tomorrow. A vision that will be underpinned by a £675 million Future High Streets Fund – which will help councils innovate and improve their town centres – and a relaxation of planning rules that will see more people living on our high streets and more mixed-used businesses. There are currently over 27,000 premises lying vacant in England’s town centres. If we turned just a fraction of these into homes, thousands more people could have a roof over their head. And research shows that higher numbers of residents on our high streets can generate higher footfall and, in turn, higher demand for shops and services. And there will be other imaginative, creative approaches – that will differ from area to area -–that will help our high streets reinvent themselves and thrive again – and I’m looking forward to celebrating these trailblazers and the incredible people behind them at the upcoming Great British High Street Awards. We need to pull out all the stops to support communities to create many more of these vibrant, thriving hubs – hubs that make the most of the human interactions and experiences they offer that no online competitor can hope to replicate. The action we’re taking is an important step towards this. Which brings me to the third theme: inclusive community spaces. These obviously include our high streets as well as parks and other assets and are crucial for many of the same reasons – their ability to bring people from different backgrounds together in a meaningful way that breaks down mistrust. Plus their ability to combat social isolation and give people a sense of belonging. As such, their value is beyond measure. And so I’m delighted to be launching a new project, Open Doors, that will see empty shops being opened up to community groups offering services to younger and older people. The aim is to reduce loneliness whilst increasing footfall on our high streets and town centres. We’re calling today for landlords, public and private, to come forward and play their part in this exciting initiative and help truly transform their communities. We need to be bold and imaginative in tackling the challenges we face and ensure that – in line with the fourth and final theme – no communities are left behind. This is especially important as we leave the European Union and chart a new course to a brighter future. I want to ensure that all parts of our country can seize the opportunities that will be unleashed. It’s with this in mind that our UK Shared Prosperity Fund will focus on tackling the inequalities between communities by driving up productivity, particularly in those areas whose economies are lagging furthest behind. I want communities across the country to have a voice in determining their economic destiny. This Fund will give them that voice and help bridge the divides between the places that are prospering and those that are struggling. Now, this mission to build a more inclusive society also very much extends to people living in social housing. The terrible events at Grenfell shone a light on their experiences which, for too long, had been overlooked by successive governments. And before I go on, I want to condemn in the strongest terms the appalling video, on social media, showing an effigy of Grenfell Tower being burned on a bonfire. It beggars belief that anyone would do this, given everything that the bereaved and survivors have been through. We will always stand by them – as a community and also with other people living in social housing. To that end, we recently published a social housing green paper, informed by the views of around 8,000 residents from across the country, which focuses on the issues that matter most to them. Many spoke of their pride in their home and communities, but also about the disgraceful stigma that they face – and creating a new contract on social housing. We’re determined to stamp this out and are renewing and deepening our commitment to these communities to deliver a new generation of social housing. Because the only way we will build a stronger, fairer Britain, the only way we can bridge the divides that hold us back, and renew our democracy is by building stronger, fairer communities. Communities in which everyone has the opportunity, security and dignity to build a better life. And that with a renewed focus on community we can create a country which works for everyone – and recognise that intrinsic connection between us. Of family, of faith, of neighbourliness, of community. That as we chart a positive new direction for our country through Brexit and beyond, we can create strong, confident communities socially and economically. Which celebrates our rich diversity as a strength which defines the country, the people we are. That there is so much more that unites us than divides us.